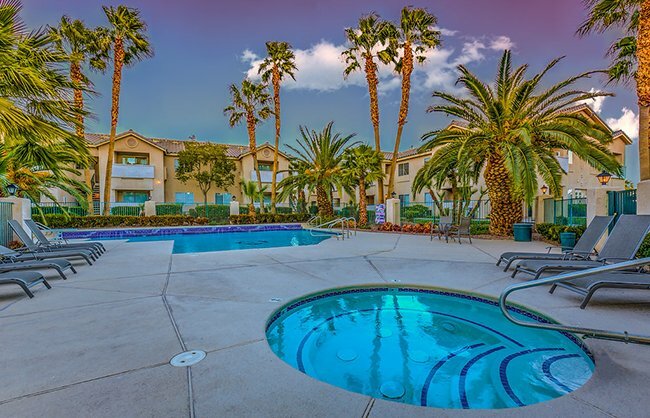 A home at The Villas at 6300 will enhance your Las Vegas lifestyle. Choose from one, two, or three bedroom apartments to suit your needs. Each of our homes comes with the luxurious extras you would expect of Vegas, including gorgeous views of the Charleston Mountains and the Spring Mountain Range. Gather friends and family for game night in the resident clubhouse, or finish up some work at the business center. And there’s no better way to spend a Vegas afternoon than lounging by the sparkling swimming pool.